A Bronx man who made national headlines after he chose to stay on Rikers Island rather than plead guilty to a crime he said he didn't commit has been arrested and charged with robbery and assault, the NYPD says — but a family spokesman maintains the teen is the one who was attacked. Pedro Hernandez, 19, was arrested and charged with third-degree robbery, second-degree assault and third-degree menacing on Sunday, police said. He's been released after posting $25,000 bail. Police say Hernandez and two others approached a 19-year-old and a 20-year-old with a knife and a bat as they were waiting for a cab in the Bronx Sunday morning and attacked them. At some point during the attack, the 20-year-old grabbed the knife from Hernandez and used it to defend himself, the NYPD said. Hernandez and the two others then fled the scene with the victims' jewelry and bank card, according to police. Hernandez, who checked himself into a nearby hospital to get treated for cuts to his face and left shoulder, was identified by the victims at the hospital, the NYPD said. A family spokesman, however, told News 4 the two alleged victims actually instigated the attack, stabbing Hernandez and leaving him with injuries that required nine staples on his back and seven stitches on his face before robbing him of his cash and jewelry. Hernandez was "fighting for his life" after the attack the spokesman said, adding that video from the scene "clearly shows the attack" and contradicts the NYPD's report. In a statement provided to News 4, Hernandez's attorney Julia Deutsch, who is in the Bronx Defenders' Criminal Defense Practice, claimed Hernandez "has been a target of the NYPD," adding he had been "subjected to harassment and false charges." "Yesterday Pedro Hernandez was attacked. He was stabbed in the back and his face was slashed," Deutsch said. "He was seeking medical attention at a hospital when the police arrived, arrested and forcibly removed him from the hospital. "The details of this case will come out and the truth will prevail," she added. "Mr. Hernandez is still in need of medical attention that was denied by the NYPD and he is seeking that now." The NYPD is sticking with its claims that Hernandez is the suspect. News 4 has also reached out to the Bronx District Attorney's Office for comment. Hernandez battled for three years to clear his name — first against a shooting charge which was dismissed by the Bronx DA in September of 2017. The Robert F. Kennedy Human Rights foundation ultimately bailed him out. By then, Hernandez had become an academic standout and was offered a college scholarship. The problem was that Hernandez and his sister faced another charge — supposedly for stealing a cellphone during a street fight. 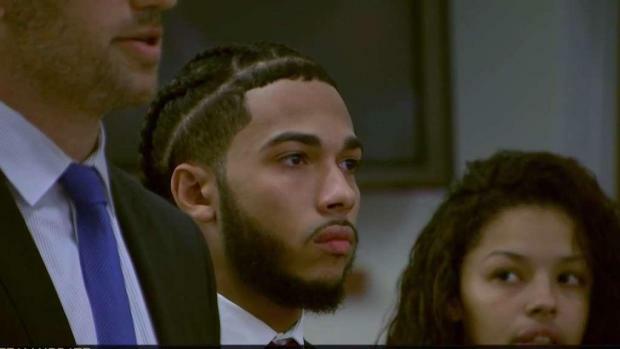 The Bronx District Attorney’s Office this past October agreed to dismiss that charge with one condition — that the two show proof of one semester at college. Hernandez was accepted to a college outside of Boston for the fall 2018 semester, but had to postpone attending because of the ongoing robbery case. In the fall, he said he hoped to start in January 2019. It wasn't immediately clear on Monday what his enrollment status was. When Hernandez was cleared of the shooting charge, the district attorney announced she was asking the federal authorities to get involved in a broadening investigation into law enforcement’s actions. It’s unclear where that investigation currently stands.